I don't like Alpha Hairs in TS4, but...for those who like, here it is. yaaaas thanks bae, do you take requests? Thank you! 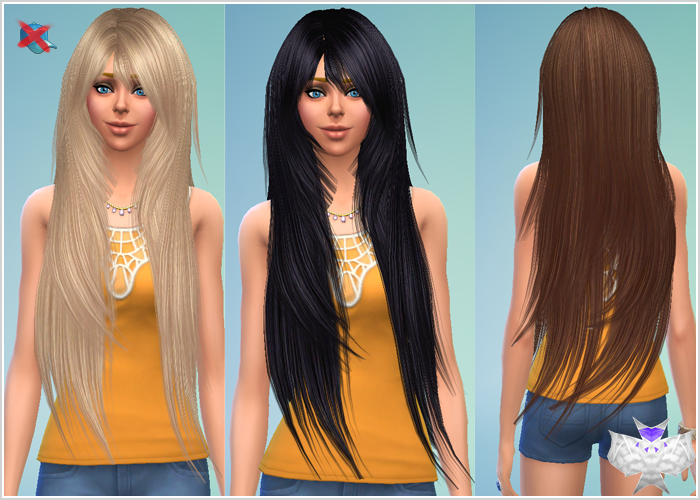 I didn't think I would like the alpha hairs in Sims 4 but this just changed my mind! Hope to see more classic and new Sims 4 style's from you.Great job! That's a shame. Alpha hairs look so much better. Beautiful, thank you very much !!! Fantastic! Finally great hair the the Sims 4!!! Thank you!! This is unfortunate, but I have a problem. The hair goes through the neck and there is a piece of hair that sticks straight up. Could you fix this?